This exquisite 14K gold ring features a beautiful flower made of lots of sparkling CZ's and centered on a gorgeous split band. This ring is a real show stopper! 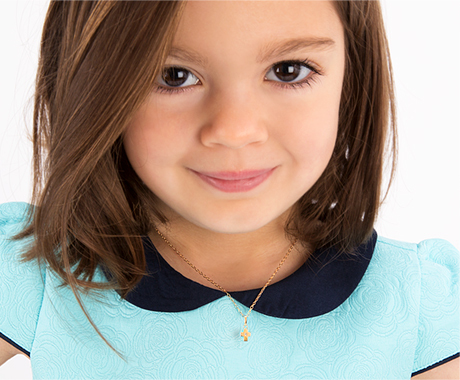 It is made specifically for children and will look gorgeous on your little girl. Size 5 - This size typically fits tweens to teens. I ordered this ring for my 4 year old granddaughter and she loves it. It’s more beautiful in person.